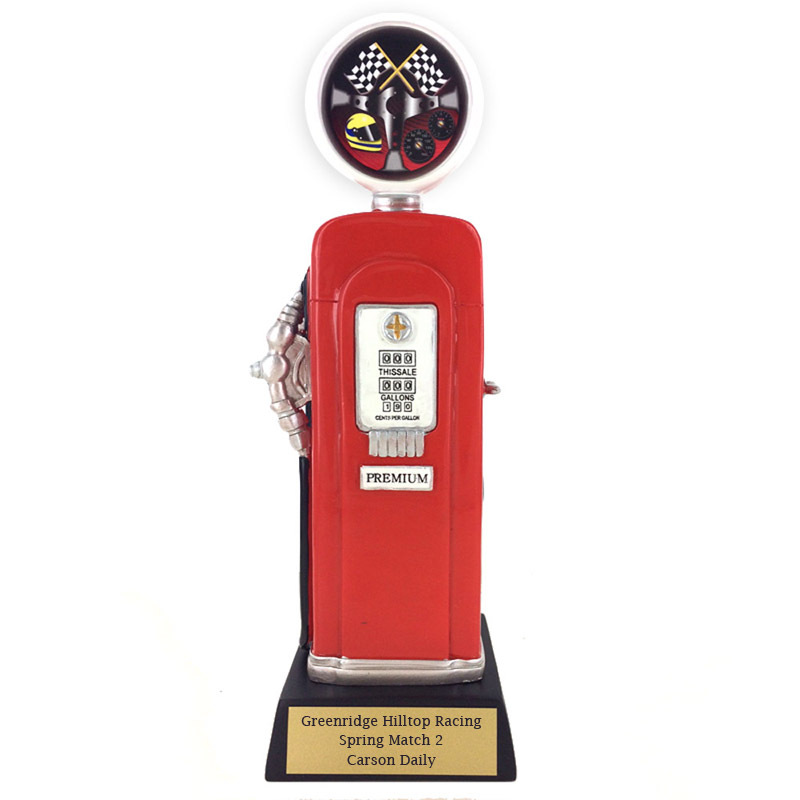 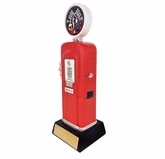 Item Description: Auto racing full color gas pump resin trophy. 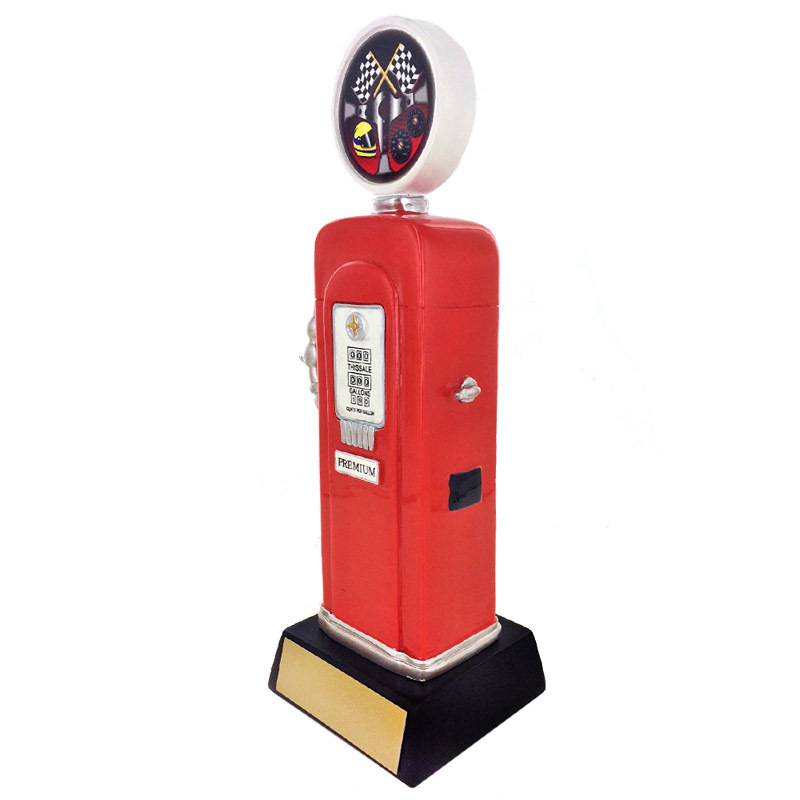 Size is 10-1/4 inch height. 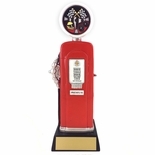 Comes with gold engraving plate. 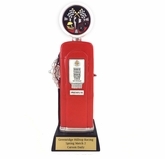 Engraving Options: Please enter text below if you select with engraving or you can also upload your text files for multiple items via Upload File or Text Info below.